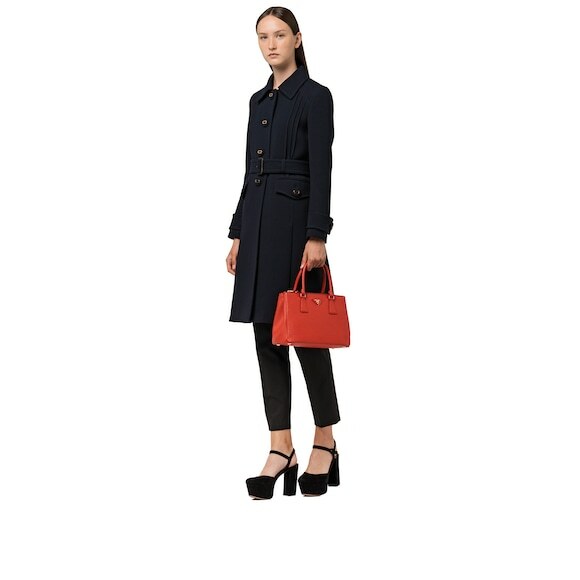 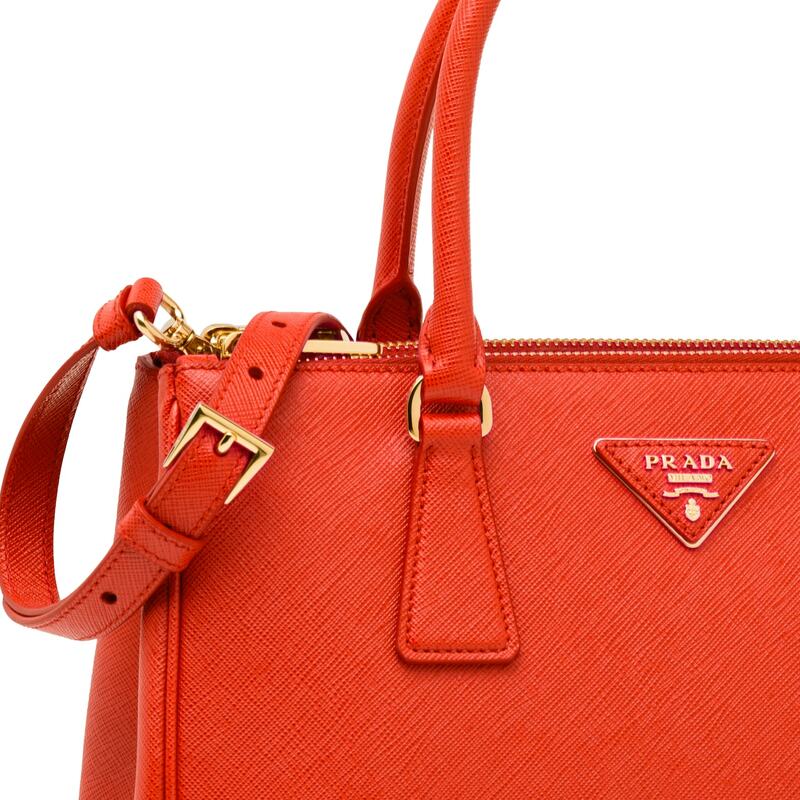 The Prada Galleria bag. 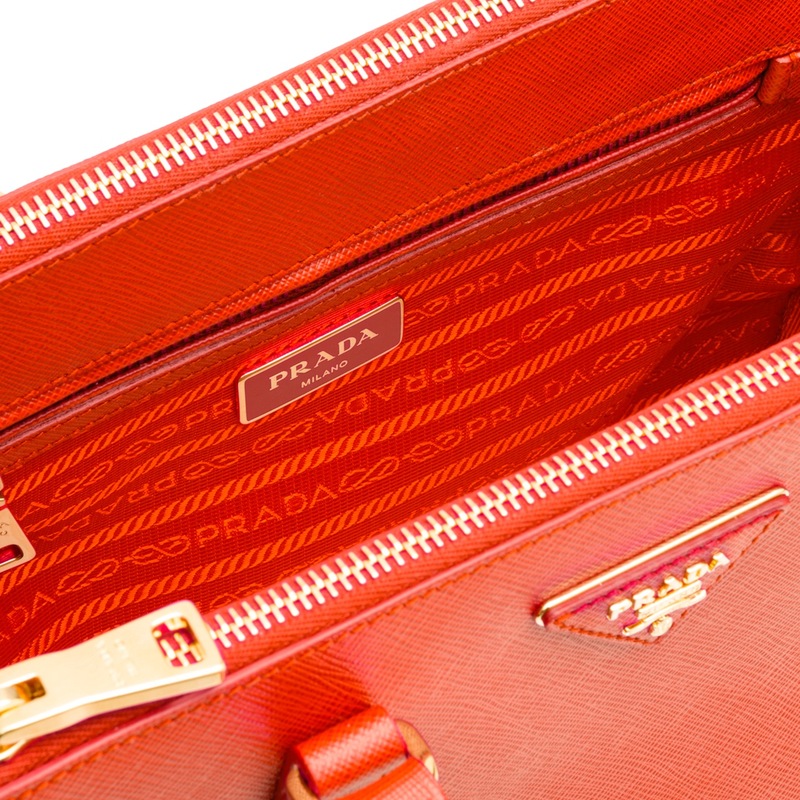 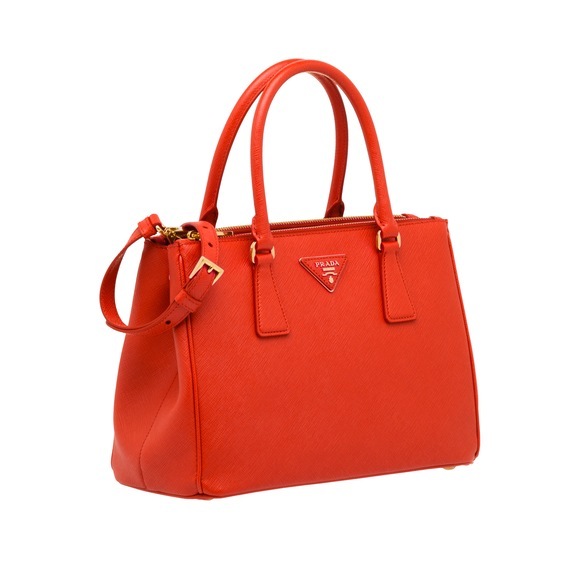 The monochrome Saffiano leather is accented with the metallic tones of the Prada logo, zipper and hardware. 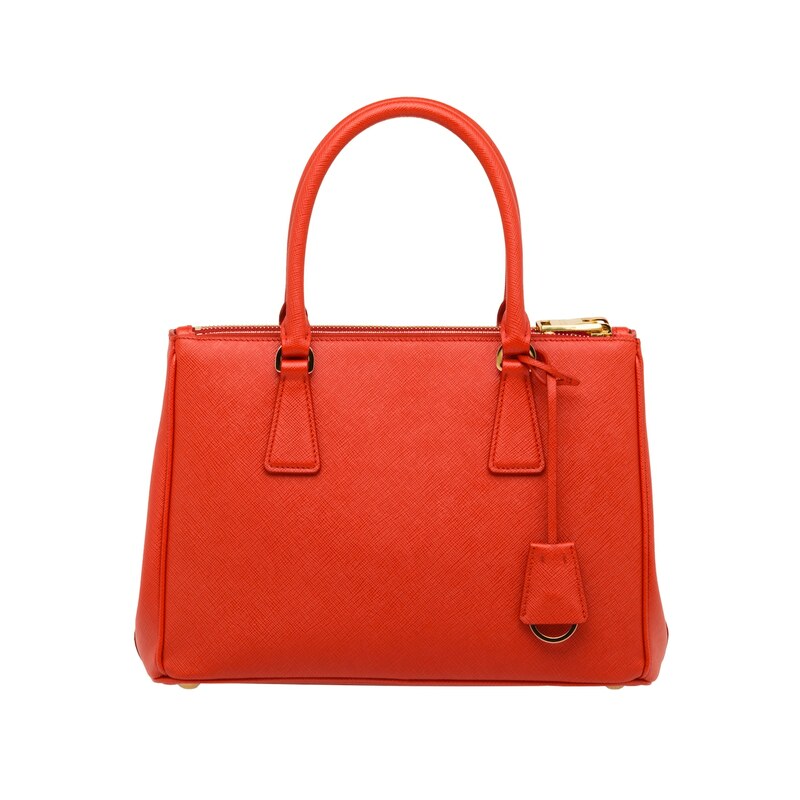 There are various pockets and a detachable shoulder strap.